Controversy swirls again in a recent exploit involving Luis Suarez and either his insatiable hunger or his attempt to gain advantage on a set piece. During the 80th minute of the Italy vs Uruguay game as Suarez is jostling for position to receive the ball the video replay shows Suarez lean over and bite down onto Italy’s Giorgio Chiellini’s shoulder while they’re in the box. No foul was issued as the referee did not see but Chiellini made every attempt to make it known what had happened, even by pulling down the sleeve of his shirt and exposing what appeared to be bite marks on his shoulder. Uruguay later scored on a header which ended up being the decisive goal that eliminated four time champion Italy from the World Cup. However the Uruguayan excitement may be short lived for Luis Suarez as a possible review and suspension could be in order. This is not the first time Suarez has been caught and suspended for an incident like this. 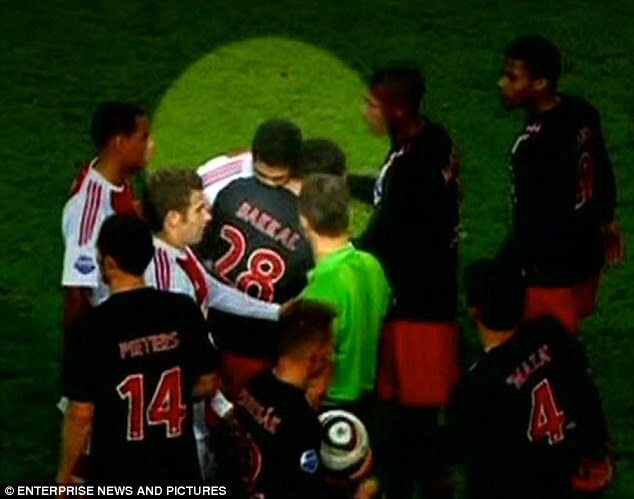 In 2010 he was suspended 7 games for biting PSV Eindhoven’s Otman Bakkal which quickly earned him the nickname ” The Cannibal of Ajax”. There’s been so much criticism of Suarez’s shark bite on the Italian defender. There’s even reports one guy in Norway placed a bit on Suarez actually biting someone and he ended up winning close to $1,000 Krone. Not a bad bet who would make such a bet? Other than that its a pity his bitten someone because Uruguay do really depend on his attacking abilities and should he be fined and suspended for not participating in the tournament, this will be a huge blow for Uruguay’s chances to progress beyond the second phrase as Colombia has been playing good football. Will just have to wait and see what the verdict would be from FIFA officials. Thank you for the comment and I actually saw a guy wagered that bet and that he was awoken in the middle of the night that he had won it. However, I have a hard time taking pity on Suarez being this is his 3rd offense. I mean the 1st time he did it was pushing it seriously what is he thinking? Sadly for Uruguay, I think the verdict is going to be back breaking and that he will be tossed from the tournament but like you said will have to wait and see.